The Seoul City government on Thursday issued an advance notice on deregulation as part of efforts to increase housing supply downtown and near metro stations. Under the revised city ordinances, more floor space in residential complex buildings in downtown commercial zones can be assigned for residential purposes, and the required floor area ratio will be raised from the current 400 percent to 600 percent for rental homes in semiresidential zones across Seoul. The metropolitan government will gather public opinion during the notification period, and finalize the revised bill at the Seoul City Council. The revised rules will be in effect for three years, after which an extension will be considered based on whether the measures helped raise housing supply. The revised ordinances are part of a set of measures announced in September aimed at increasing housing supply in the Seoul metropolitan area, following the Ministry of Land and Transport’s countermeasures to curb property hikes unveiled on Sept. 13. 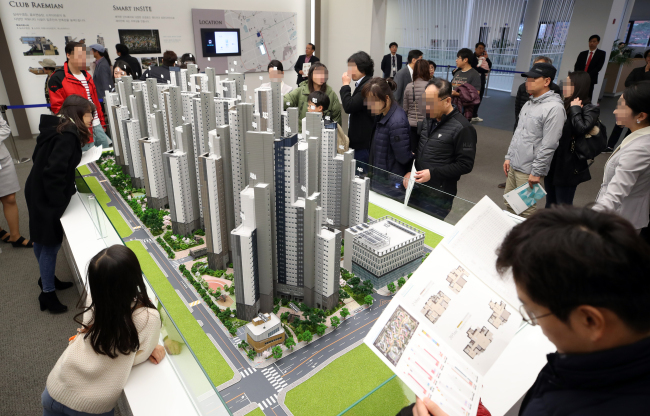 Instead of lifting the development ban on so-called greenbelt areas -- legally protected greenspaces and forests -- as the ministry had asked, Seoul City said it will increase housing supply through deregulation of residential buildings downtown and areas around metro stations.